Remarkable coincidence, or something sinister? That's the question posed by L'affaire Chanda Kochhar, the celebrated managing director & CEO of ICICI Bank. But by issuing a well-couched statement, ICICI Bank has not left people any wiser. Remarkable coincidence, or something sinister? That's the question posed by L'affaire Chanda Kochhar, the celebrated managing director & CEO of ICICI Bank. But by issuing a well-couched statement, the ICICI Bank has not left people any wiser. In fact, barring denying any wrongdoing and reiterating its confidence in Kochhar, the 3-page statement has failed to answer any of the grave allegations leveled by investor Arvind Gupta against Kochhar and her husband Deepak Kochhar for "amassing wrongful personal gains deceiving Stakeholders, Shareholders, Public/Private Sector Banks and Indian Regulatory Agencies for unjust and illegal enrichment through corrupt banking practices". It was Gupta's 8-page letter (dated 15 March, 2016) with those allegations addressed to prime minister Narendra Modi and copied to the finance minister, RBI Governor, Sebi chairman, Enforcement Directorate and CBI chief, besides others, that led to sotto voce initially but has caused a severe social media frenzy in the past few weeks. 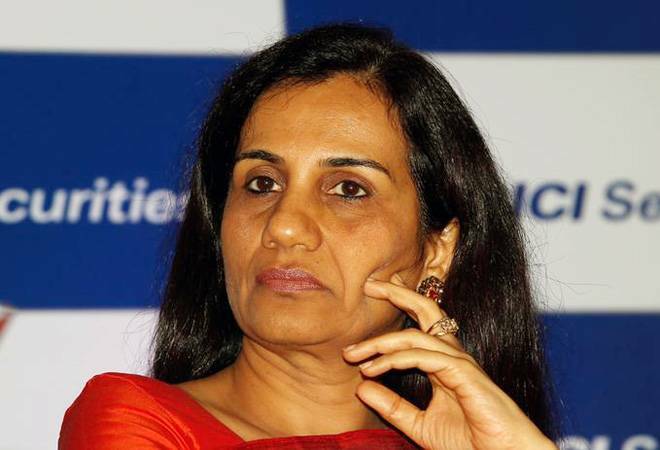 That forced ICICI Bank to issue a statement defending Kochhar: "The Board has full confidence and reposes full faith in the Bank's MD & CEO Ms Chanda Kochhar". Gupta told businesstoday.in his curiosity was aroused by a 10 per cent coincidence he noticed in ICICI's loans to Videocon group companies and foreign fund inflows into husband Deepak Kochhar's firm NuPower Renewables. Gupta says NuPower Renewables was originally founded as a 50-50 JV between Dhoot family and Kochhar and Advani families (Chanda Kochhar's brother, Mahesh Advani). "In May 2009, Chanda Kochhar became the CEO & MD of ICICI Bank Limited. Upon Chanda Kochhar becoming CEO & MD the identity and ownership of the NuPower Renewables Private Limited was masked by transferring the shareholding to "Pinnacle Energy" (A Trust) where Mr. Deepak Kochhar the husband of Chanda Kochhar is the Managing Trustee," Gupta says in the letter to the Prime Minister. Gupta says ICICI loaned Rs 3,250 crore to Videocon group companies. Exactly 10 per cent of that amount (Rs 325 crore) was invested in NuPower in the form of compulsorily convertible preference shares by Mauritius-based Firstland Holdings. That investment was later transferred to DH Renewables Holding Limited, also from Mauritius. Gupta also noticed that Videocon Group Company based in Cayman Islands - Tuskar Overseas - also received funding worth Rs 660 crore from ICICI Bank's UK and Canada branches. This coincided with Venugopal Dhoot-owned Supreme Energy funding NuPower with unsecured loans worth Rs 64 crore. It may or may not be a coincidence, but Gupta sensed something fishy. He says his enquiries led him to Mauritius-based DH Renewables Holding Limited through a multi-layered and complicated holding structure. "What does 'DH' stand for Dhoot or for Deepak?" asks Gupta. ICICI's response to the specific allegations are far from specific. "The larger exposures are approved by the Credit Committee of the Board. The majority of Credit Committee members are independent directors of the bank. The Chairman of the Credit Committee, till as late as June 2015, was always a non-Executive Director. Given this architecture, no individual employee, whatever may be his or her position, has the ability to influence the credit decision at the Bank". ICICI Bank also said, "...a consortium of over 20 banks and financial institutions sanctioned facilities to the Videocon Group for a debt consolidation programme and for the group's oil and gas capital expenditure programme aggregating approximately Rs 40,000 crore...ICICI Bank was not the lead bank for this consortium and the bank only sanctioned its share of facilities aggregating approximately Rs 3,250 crore which was less than 10 pc of the total consortium facility". Out of Rs 3250 crore, Rs 2810 crore remains outstanding, the bank told the Indian Express. The bank's total exposure to Videocon group is Rs 2849 crore, it said. Neither of these explanations, however answers the question of coincidence or money flow into Deepak Kochhar's firm, just as ICICI Bank was providing loans to Videocon group companies. Even though as part of a larger 20-bank consortium. Instead, it concludes, "Hence the Board concluded that there is no question or scope of any favrouritism, nepotism or quid pro quo. The Bank desires to clarify that none of the investors of NuPower Renewebles are borrowers of ICICI Bank". That, however, is not the contention. Gupta's allegation does not suggest a loan from ICICI Bank to NuPower. Instead, he terms it as "amassing wrongful personal gains" and "unjust and illegal enrichment through corrupt banking practices". In the Videocon-Deepak Kochhar saga, the questions were raised about propriety and conflict of interest. However, the board chose to address issues of whether loans were given to Deepak Kochhar run companies. If ICICI Bank's board led by former Hindustan Unilever vice-chairman MK Sharma came together to quell the rumours, it will be disappointed. By evading the key questions, the board has inevitably kept the rumour mill humming. Unless, of course, a thorough investigation of the money trail proves it otherwise.